Tartu CityWiFi project provides free WiFi in the restaurants and cafes in Tartu midtown, supported by Tartu city government. This is an important service for both locals and tourists who can save expensive data roaming fees. For the enterprises, city has provided free and secure high-quality equipment and covered the costs for establishing the WiFi. The enterprises have ensured the reliable and accessible WiFi. 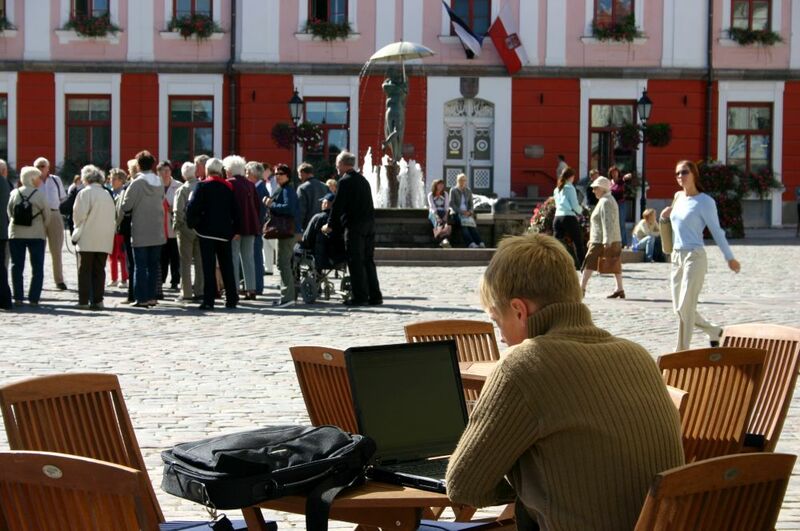 CityWiFi project was started in cooperation between Tartu city government and website wifi.ee in December 2004, when free WiFi was provided by eight restaurants and cafes. There is constant interest in the project by enterprises as WiFi brings them customers and has quickly become a standard service in Estonia. Supporting CityWiFi, Tartu city assists the development of our cityscape, providing necessary services for citizens as well as for tourists. Many guests of the city have taken interest in this project. A new restart came in 2013 when free WiFi spread into ten restaurants and cafes. In April 2013, following enterprises had joined the project: Kapriis, Dedi, Entri, Crepp, Pool Kuus, Lõvisüda, Suudlevad Tudengid (Kissing Students), Meat Market, Vein ja Vine, and Café Truffe. In this initiative, city has partnered with Haamer Ventures OÜ. The Internet service provided by CityWiFi project is freely accessible for everyone without passwords, its speed depends varies by the cafes. Service is secure, as the clients' connections are kept apart and are not connected to the local intranets. The locations of CityWiFi are noted on the cafe doors. Tartu CityWiFi project belongs amongst the oldest in the world, as most big cities started their own CityWiFi projects in later years. One of the few cities that started earlier was New York in 2002.